In the spring of 1944, I realized that I was not going to survive the war ...Shtefan Brandt, adjutant to a colonel of the Waffen SS, has made it through the war so far in spite of his commander's habit of bringing his staff into battle and in spite of the heritage that he has so far managed to conceal. Instead, his growing interest in his commander's mistress may be the end of him, were Colonel Erich Himmel to notice.Colonel Himmel has other concerns, however. He can see the war's end on the horizon and recognizes that he is not on the winning side, no matter what the reports from Hitler's generals may say. 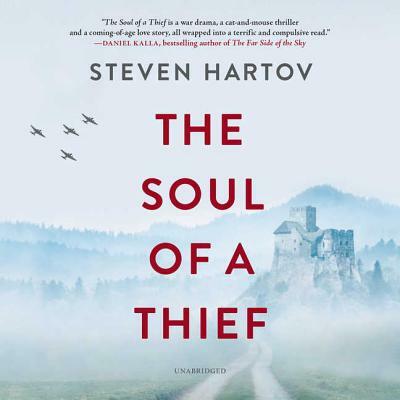 So he has taken matters into his own hands, hatching a plan to escape Europe and the Allies only after stealing a fortune from them.A fortune that Shtefan, in turn, plans to steal from him ...Steven Hartov captures the turbulent emotional rush of those caught behind the lines of occupied France, where one false step could spell death and every day brings a new struggle to survive.